Recently I was very lucky in that the Air Cadet unit that I instruct with helped out a local flying club with their Air Show. I spent the morning helping direct traffic, which got quite interesting as I have to use a wheelchair. Got to see the display for free though. 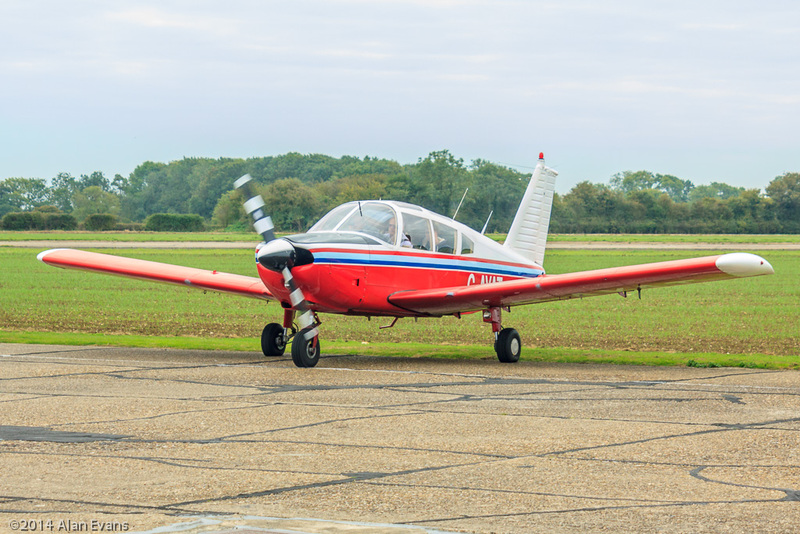 If that wasn't good enough though the club, The Waveny Flying Group based at the old WWII USAF Liberator airfield at Seething in Norfolk invited the cadets and staff down for a BBQ and a flight. We hoped that all of the kids would get a trip, and maybe the adults as well. In the end all of the cadets got three trips, some who wanted it got four, and all of the adults got two trips. I was got both my trips in this PA 28 Cherokee. 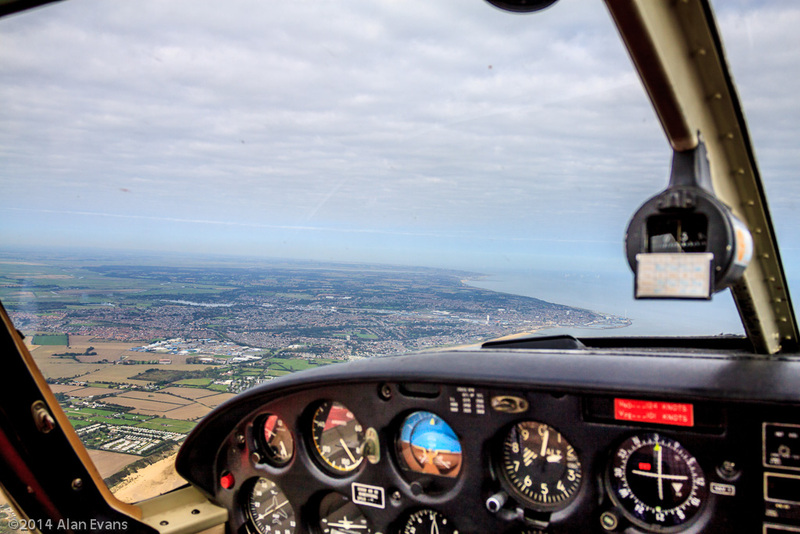 All the trips that day were on the same route, out to the coast at Southwold, up the coast past Lowestoft to Great Yarmouth, then back to Seething, skirting the Norwich airport controlled zone. 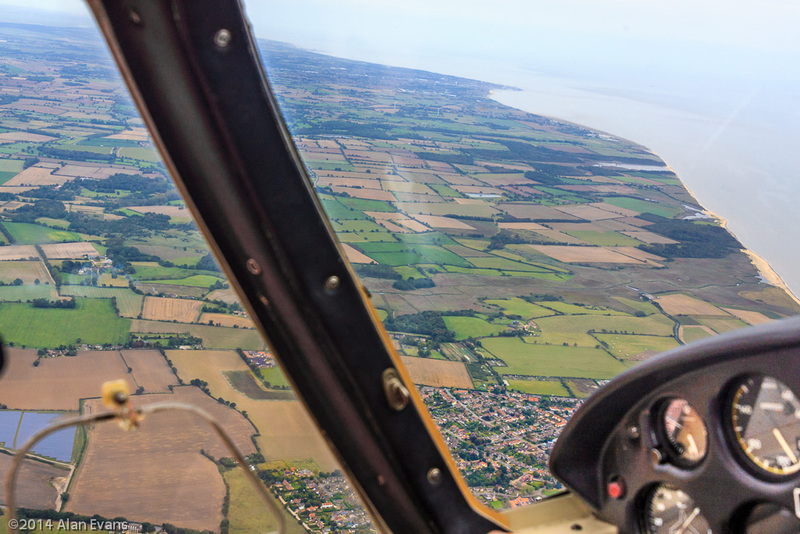 Turning north over Southwold to fly along the coast towards England's most easterly point, visible near the top of the frame. This is Ness Point Lowestoft, the most easterly point in the UK. 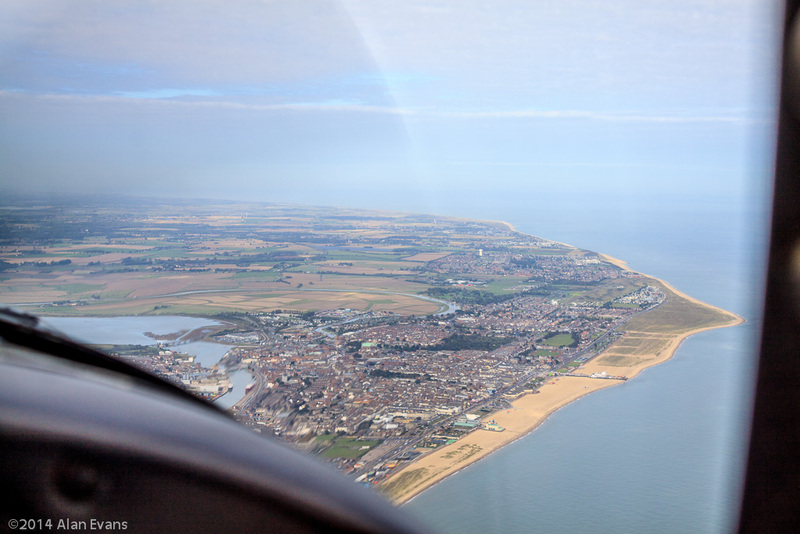 We carried on along the coast to Gt Yarmouth, where I now live. The Golden Mile and two piers on the seafront. Finally on the leg back to seething, the Yare looking west towards Norwich at Cantley, the (in)famous sugar beet factory is just off the right hand edge of the photo. I would like to thank all of the club members who took the cadets and us lucky staff flying that day, all at their own expense, the number of pilots that offered to help was amazing. 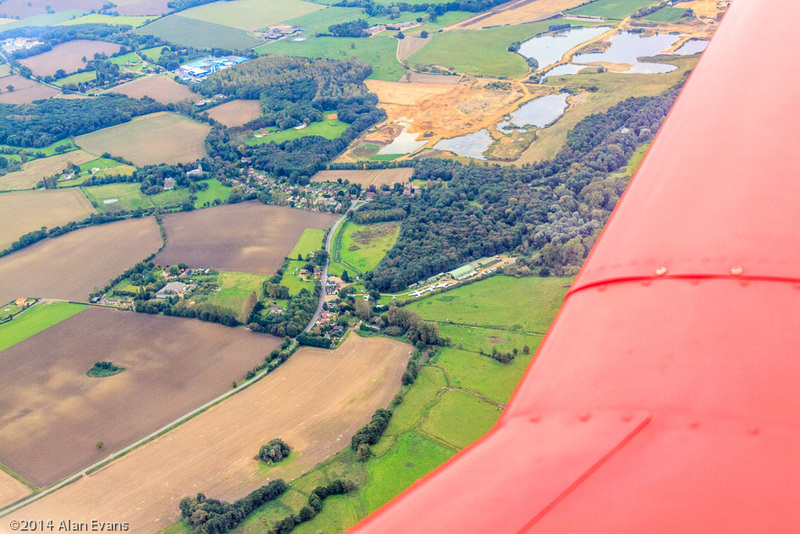 They had people flying in eight different aircraft, from a 1952 vintage Piper Supercub, to the latest Cirrus. The gallery of the days pictures can be seen here. Good series. It's nice that they did that for you guys. 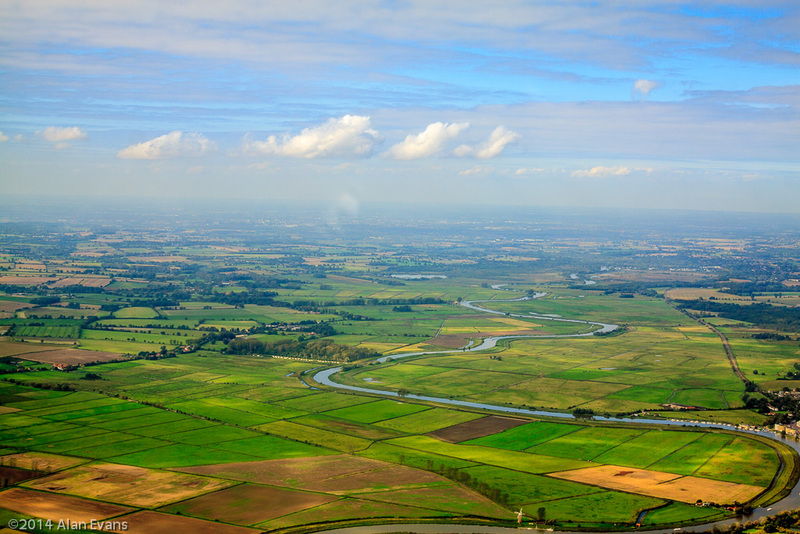 The landscape as seen from above looks very nice. The last image is beautiful. Yes the one in the picture is the Norfolk and Suffolk Aviation Museum at Flixton near Bungay. There is another good little museum at Norwich Airport. The Norwich one has both a Vulcan and a Nimrod. 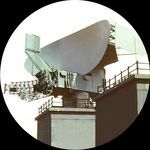 There is also the Radar Museum at the old RAF Neatishead radar station, including the cold war control room from the 70/80s period. This is where I was stationed when I was in the RAF. If you are up this way on the last Sunday of the month; May to October then I would also suggest a trip to the Seething WWII Control Tower which has been restored as a muesum/memorial to the bomber crews that flew from the base. We have cadets helping out at these tower opendays too. We will also be there next weekend for a Remembrance Parade in the afternoon, after the cadets do the main parade in Great Yarmouth in the morning. Waxham is really nice too, lovely beach, we often go up for the day in the summer.